“Lynina Inn” is a beautiful, clean, and comfortable 51 room property located close to all Branson has to offer, but just a short hop from the hustle and bustle of Branson’s famed Highway 76. Hospitality is the number one amenity, courtesy of knowledgeable staff members who take great pride in making sure your stay is enjoyable! There’s a selection of spacious rooms to fit every need, including standard king and queen rooms and Jacuzzi suites. Enjoy a romantic honeymoon, or just a relaxing getaway, in a nice Jacuzzi suite. Discover a hot breakfast every day that includes waffles, biscuits & gravy, and even a western omelet, plus a whole lot more! “Lynina Inn” is perfectly suited for family stays with available adjoining rooms and a large outdoor swimming pool. There’s even a meeting room for your family reunion or business meeting. 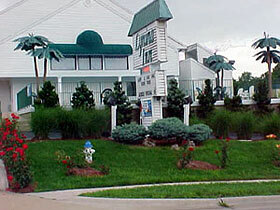 You’re making an excellent choice when you select “Lynina Inn” for your Branson vacation lodging!